Rainbow Falls is on private land owned by the Nature Conservancy. It's high and scenic, but inaccessible to the public for now. 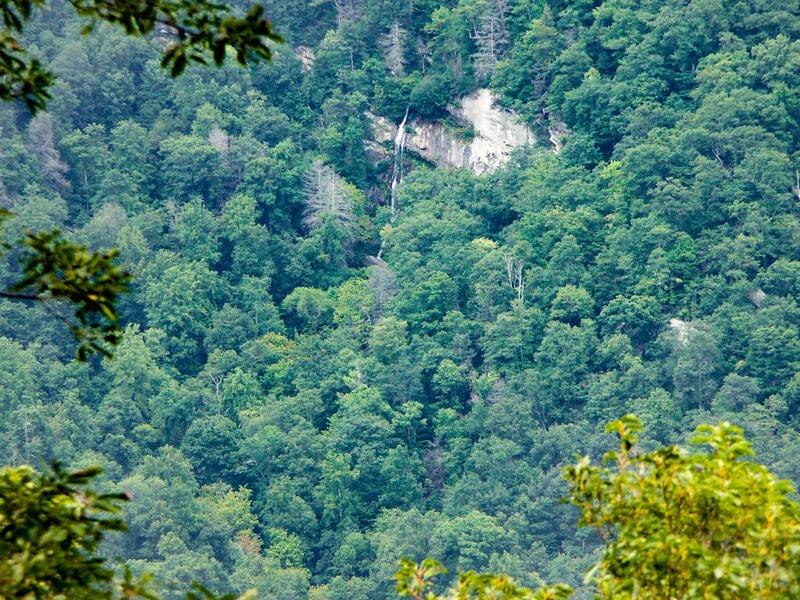 The land may be added to the new Chimney Rock State Park and opened to the public sometime in the future. You can catch a glimpse of it across the Hickory Nut Gorge from the trail to Hickory Nut Falls in Chimney Rock State Park, but you'll probably want binoculars or a really long lens for that view. Until we get a close-up, here's kind of a cool aerial photo of it on Bing Maps.